Percentage in world market India was the biggest furniture importer in 2004-05, with a 17 % share in furniture imports worldwide. India is a land of wonderful and marvelous artistic work of wood which is being appreciated world wide. The rich Indian handicraft and beautiful traditional attributes of art and design have established a reputation of Indian Furniture Industry in the nation and worldwide to be appreciated by people. There are exceptional designs, rich, compact, and luxurious trends and, not the least, the supreme quality have given elegance to the furniture segment in the traditional as well as modern aspect. Tradition in making lots of developments in the Indian furniture market is to make a luxury lifestyle statement. 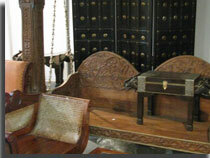 The old 'charpais' (string beds), inlaid 'door jambs', handcrafted 'almaris' (cupboards), ornate 'jhulas' (swings) and grandfather's wooden 'kursi' (chair), wooden 'takht' (divans), old-fashioned round tables with bloated legs and ornamented master beds are back in furniture stores - and in homes as well. Often wood is recycled, culled from old discarded furniture and crumbling 'havelis' (traditional Indian mansions) in the villages and former princely chiefs that are being pulled down by real estate developers to make way for high rises. Indian Furniture Industry is considered as a "non organized" sector, with handicraft production accounts for about 85% of the furniture production in India. The furniture sector only makes a marginal contribution to the formation of GDP, representing just a small percentage. In the year 2000, India ranked 48th among furniture exporters and 49th among importers. This was due to the high import duty applied, and on the other hand, from the low technological level of Indian companies and the local tastes and traditions that influence the style of the products offered, making them difficult to export. During 2005, data for index of industrial production, as many as 14 of the 17 industry groups have shown positive growth as compared to the the previous years. However, Wood Products; Furniture and Fixtures have shown a negative growth of 16.7%. Today in India Wood Products, Furniture and Fixtures carry a weight of 27.01 % in the total manufacturing sector. This category has however shown a decline in recent some years. The visible consumption of furniture in India is estimated to be 15 USD per year per inhabitant but this average hides wide variation in populations and in cities. India has a favorable outlook to sell furniture and one expects the furniture industry to grow further in the coming years. Two important reasons for this are: First India's large size and Secondly, Indian tastes have started to be more refined and Indian people are looking for more western furniture style. The prospect of the furniture sector in India seems positive. A recent on-field research has identified some 150 Indian companies not only as the furniture manufacturers and retailers but also banks, hotels, enterprises wishing to start commercial and/or industrial co-operation with EU counterparts. Indian Legislation on various ways of setting up business and on intellectual property rights exists as well as a lot of advantages for foreign companies to establish business alone or with partners in India . Indian government is taking steps to minimize entry-exit barriers for foreign companies and government is facing pressure to liberalise the duty structure. Further, in comparison with other countries such as China and Mexico, where the time required to start a business is more, it has become a hindrance for development of this industry. It is been estimated that the world home furniture market is worth Rs 20,000 crore and during the past three years, it grew by 20 % a year. This also covered living room furniture. The Indian demand for living room furniture has enjoyed steady growth over the years. In the year 2006, the Indian furniture industry was estimated at around Rs 35,000 crores. Indian Furniture Industry is a highly unorganized sector. The furniture industry in India employs a total of around 300,000 workers and the total production of furniture in 2001-02 was USD 3580 million. The Indian wooden furniture industry is able to generate approximately a turnover of Rs 3,500 crore annually. The market of wooden furniture solely owns the share of nearly Rs 60 crore. And as per one of the survey done recently, the industry is expected to grow by 20 percent in coming times. Among all the types of furniture, the office furniture segment is the one that boasts the most important, both from the point of view of size and of the technological innovation of the production. 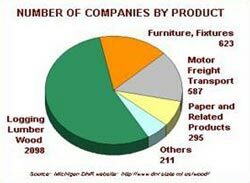 The furniture industry employs a total of around 300,000 workers. The total production of furniture in 2001-02 according to Annual survey of Industry was USD 3580 million. Indian Furniture Industry is estimated to be more than Rs. 60,000 cr. The industry is dominated by unorganized sector, which constitutes 90% of the total Indian market. The organized furniture market is at 10% and growing at about 35% CAGR. Furniture segment comprises 65% of the home market & 35% of Institutions. The entire Home decor category spends, furniture accounts about 68% of the share while remaining 32% comprises of furnishings and home improvement. Imported furniture constitutes to 85% of the total organized furniture industry in the country. India imports furniture from Italy, Germany, Spain, China, Korea, Malaysia, Indonesia and Philippines. The marked development of the Indian Furniture Industry has enhanced the leading foreign brands to budget in their confidence. The world market now feels pleasure and confident to join hands with Indian Furniture brands, to name few are Godrej & Boyce Manufacturing Co. Ltd., Furniturewala, Zuari, Yantra, Renaissance, N R Jasani & Company, Furniture Concepts, Durian, Kian, Millenium Lifestyles, Truzo, PSL Modular Furniture, BP Ergo, Tangent, Featherlite and Haworth and much more to add to the growth of the industry. There are numerous opportunities in India for business of Furniture as the household has increased its income while the economy is reaching to new horizons of developments. There are opportunities like start up a business or work as an interior decorator of furniture, or the supplier of the furniture to the local market from the national market. Minimum qualification is required for any candidate to start up the job in this industry. Indian share of the wooden furniture market is around Rs 60 crore (Rs 600 million). The world home furniture market is worth Rs 20,000 crore (Rs 200 billion). During the past three years, it grew by 20 % a year. According to a World Bank study, the organised furniture industry is expected to grow by 20 % a year and India, Russia and Brazil will witness a boom. Indian range of indigenous furniture includes both residential and contract system furniture, with an increased concentration in office and kitchen furniture. Indian manufacturers generally use a three-tier selling and distribution structure, comprising the distributor, wholesaler and retailer. India was the biggest furniture importer in 2004-05, with a 17 % share in furniture imports worldwide. A total of 10,476 importers shipped furniture to India during this period. The current imports are mainly from Italy, Germany, Spain, China, Korea, Malaysia, Indonesia, the Philippines and Japan. The furniture market in India is mainly concentrated in A, B and C cities. It has been estimated that the top 784 urban centres contribute 41% to the total consumer furniture market. A and B type cities together contribute 33% of the total market.